Previously on this Review, Debunking Glenn Beck was previewed. What about the other side of the analysis? 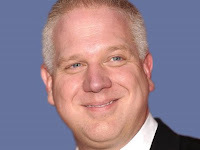 What does it mean to actually believe a proven liar and frequently mistaken, ignorant propagandist like Glenn Beck? On The Colbert Report this July 11th, the guest, Michael Shermer, author of The Believing Brain, explained how most people believe what they are conditioned to believe rather than believing the scientific or actual facts of any given matter. Two brief examples of people who believe(d) Glenn Beck are Todd Scheller and Lisa Houserman, and their cases will be briefly considered below. So people come to Glenn Beck with certain, far right beliefs which he re-enforces and contributes to. Todd Scheller is a fan and defender of Mr. Beck. On a post where it was pointed out that Beck lied about President Obama's decision to go after Osama bin Laden, Todd took issue with the claim that Beck told a "pants-on-fire" lie. During the week after Obama successfully ordered to have the Navy SEALS get bin Laden, Beck claimed that the operation "contradicted every bit of foreign policy, everything [Obama has] ever advocated." Even though a link was provided that showed then candidate, Senator Obama saying, on video, "if we have Osama bin Laden in our sights and the Pakistani government is unable or unwilling to take them out, then I think that we have to act and we will take them out. We will kill bin Laden," Todd wrote in a comment "it did contradict Obama's foreign policy. The information that lead to the raid came from the detention center that was closed during his first year in office, wait no, two years down the road now and Guantanamo Bay is still operating as a detention center for the war on Terrorism. The information was obtained in the waterboarding of Khalid Sheikh Mohammed,... Yet this current administration have [sic] refused to use the method on terrorist, yet it does so on our own troops." We water-board our own troops?!? For Todd, the misinformation that water-boarding lead to the killing of bin Laden was "proof" that Beck was right even with Obama's words explicitly stating otherwise. Such is the case of a hard-core, so-called "Beckerhead." They will not let counter-factual information get in the way of their trust in Glenn Beck. They believe what they hear on Fox because it is, after all, a "news" channel. They believe what their reactionary perspective "allows" them to believe. And Mr. Beck explains to his viewers over and over and over that he tells the "truth;" so that must be the case, no matter what evidence is put before them. Usually, counter evidence is not put in front of Beck's troops, and when someone tries, Mr. "free speech" Beck has them banned from posting comments on his web site. Lisa Houserman is a secular libertarian who used to watch Glenn Beck, and her story is told here. She "truly was a Beck freak" before he turned into a "fricking televangelist" (his phrase) and began to "push the idea that the Founding Fathers were super, duper religious." That turn created enough doubt in her mind that she opened up to what some of her friends were telling her, namely that Glenn Beck is not honest, and began to research his claims. That crack, pried open by Mr. Beck's shift into a religious propagandist and messenger of God, sufficed to initiate a change in the beliefs Housermann held about Glenn Beck. Based upon Beck's decline in viewer ratings over the course of his last year on Fox, it is probable that other supporters of Mr. Beck began, for whatever reason(s), to have doubts about his veracity. Unfortunately for America, there are still millions of people who believe Glenn Beck, and -- based upon the ideas of Mr. Shermer -- that is not likely to change. As in the case of Scheller, facts only cause ideologues to dig in their heels even harder against facts that they do not agree with. That is how facts backfire against the Beckerheads that refuse to consider, no matter how damning the evidence, that Glenn Beck is a liar, a hypocrite, an ignorant genius of reactionary, yellow propaganda and, last but most important for this topic, a cult of personality. Beck figuratively tells his adoring followers that one plus one makes three, and they find proof to support it if anyone has the audacity to claim that Beck is wrong about that. That is the awesome influence of a persuasive propagandist on the minds of those religious reactionaries who want to believe what they are being told. Update, 7/20/2011: Houserman forwarded a link to an interview with Dr. Shermer that may interest skeptics. http://www.skepticality.com/the-believing-brain/ Unlike the Colbert interview, he is allowed to elaborate on his theories. He states, "The problem is we don't have a baloney detection module in the brain." Human kind's problem is Glenn Beck's great fortune. It is February now and GBTV is chugging along with subscriber support. I am a subscriber and I can honestly and objectively say that you were and are still wrong. Last night (02/07/12) Glenn aired a story on the border that was filled with facts and was also very difficult to watch. He aired it anyway. Where is the rest of the media on this story. Perhaps you should stop criticizing him and give what he is saying an objective listening to. That seems like a reasonable request. I also felt that sometimes Mr. Beck was over the top until he kept providing me with verifiable facts. Do you have any of those in your book Mr. Rogers? It is easy to keep your head stuck in the sand. You will never see or feel the shiny blade as it suddenly ends your freedom of ridiculous and unsubstantiated speech. Be thankful you have it now, for what you do not see now, may someday end freedom for everyone, including you. First, this is not Karl's blog. Second, Rogers is right. Beck tells extremist reactionaries what they want to hear, and his "facts" are often distortions or outright lies. Usually, it seems like he makes things up. Rogers, author of Debunking Glenn Beck, and I have spent plenty enough time listening to this reactionary propagandist. What did Beck claim the first day on his GBTV, which is NOT TV? That Obama is a Marxist which is laughable. He's not even particularly progressive, much less socialist. We have given Beck an objective listening to; it's his gullible and ignorant, adoring fans who are not objective. They are the people with their heads stuck somewhere, and it's not in the sand. Beck is off television now, and his audience is 1/10th of what it was on Fox. He can be safely ignored now.